A few years ago the club sent to members a newsletter with a diagram for an easily made target frame. We asked that the membership make one of these for their own use. While using the range, Board Members noticed that many of the members did not consider this a priority. Unfortunately, the Club and Board are not able to provide all members with the correct height frame. On occasion we do place a few new target frames at the bench house. We can assure you that these do not have mechanical legs, but the target frames disappeared and do so quite quickly. The Board has this year, and will for all subsequent years, placed the diagram of this easily built frame in the annual newsletter. It is inexpensive and does nto have to be fancy. The main thing is the height. The bullet impact in the proper point is important to the safety of our range. At 50 and 100 yards, if you shoot at lower targets, your bullets will strike the face of the 200 yard berm and ricochet over the hill. This was why we built the range the way we did in the first place. Also if you set your rifle level on the bench, the point of impact will automatically go to zero at 50 and 100 yards with proper sight settings. Failure to abide by this rule could jeopardize your membership. One single ricochet could potentially close our range! 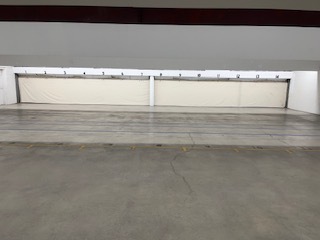 So, please, help your club be a safe club by building one of these simple target stands and use it when you on the outdoor range. You will find the diagram for the target stand, in both PDF and JPG formats, on the “Links & Downloads” page of this website.